Predictably, the Brexit vote prompted Donald Trump to engage in a round of self- congratulation about his signature issue: immigration. He pinned the decision by UK voters to disengage from the European Union on public distress over the wave of immigrants that has washed up on the British Isles. Related: Brexit Wins -- Is President Trump Next? He’s probably not wrong about the anger. 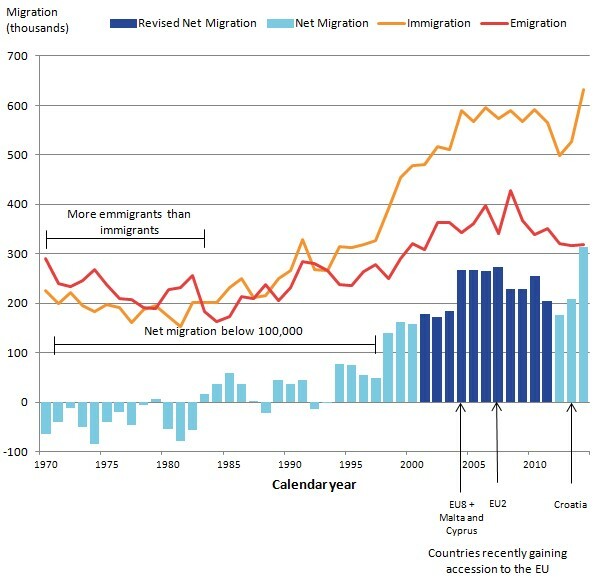 According to research cited by the website Vox, the number of foreign-born residents in the UK has risen dramatically over the past 20 years, from 3.8 million in 1993 to 8.3 million in 2014. And there was no end in sight. Trump also wasted no time yesterday in crowing about a terse statement from the U.S. Supreme Court letting stand an appeals court decision that was a setback for President Obama’s efforts to ease restrictions on some 5.5 million immigrants who entered the U.S. illegally or were brought here illegally by their parents. Again, Trump is not wrong. The high court did prevent implementation of two executive orders issued by Obama. The first in November, 2012, was The Deferred Action for Childhood Arrivals (DACA), the so-called Dream Act, which would halt the deportation of about 1.2 million eligible young people brought into the U.S. illegally by their parents – many of whom had spent their entire childhoods in America and had never known life in another country. The other, issued in November 2014, would expand that program and make millions more eligible by including people who have a son or daughter who is a U.S. citizen or a lawful resident, according to a ruling by the U.S. Court of Appeals for the Fifth Circuit. Because that program, Deferred Action for Parents of Americans and Lawful Permanent Resident (DAPA), made some 4.3 million illegal immigrants eligible to be considered “lawfully present” in the U.S. and thus able to claim federal benefits such as Medicare and state benefits such as a driver’s license, Texas and other 24 states sued Washington. They were granted an injunction to prevent the executive orders from being enforced until a trial could be held. The federal government countered, asking a federal district court to deny the injunction because the states did not have the right to challenge the President’s orders. The court let the injunction stand, and the feds appealed to the Fifth Circuit, which upheld the lower-court ruling. What the Supreme Court meant when it said, “The judgment is affirmed by an equally divided Court,” was that it was deadlocked (because of a vacancy) on whether the states had standing to sue. So the injunction that was issued remains in place and the president will likely leave office without really moving the needle on illegal immigration – apart from presiding over an administration that has deported 2.3 million people, a 23 percent increase from the George W. Bush years. What Trump was wrong about, then, was the implication that the president’s executive orders were unconstitutional. That is an issue that remains to be decided.